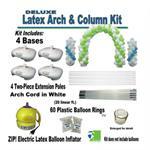 Deluxe Latex Balloon Arch & Column Kit. 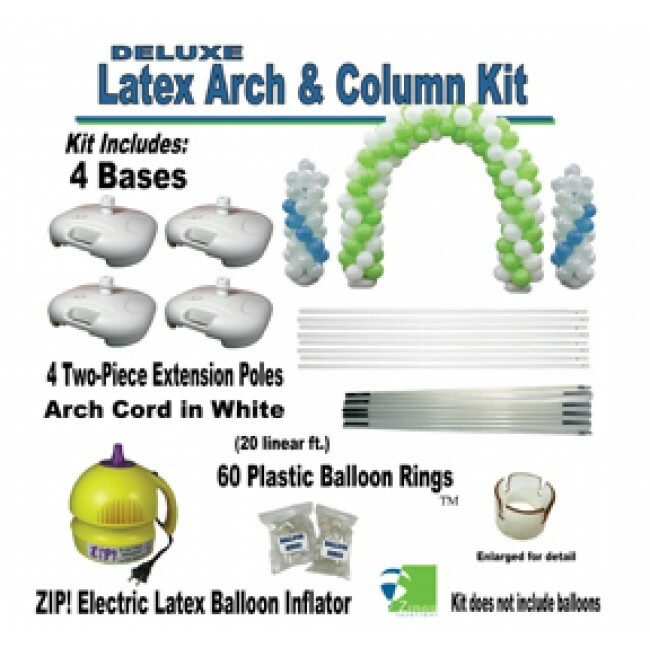 This do-it-yourself kit includes a Zip electric latex balloon inflator, 4 bases, 4 extension poles, 20 linear ft of arch cord, and balloon rings to create a 11’x 9’ arch. 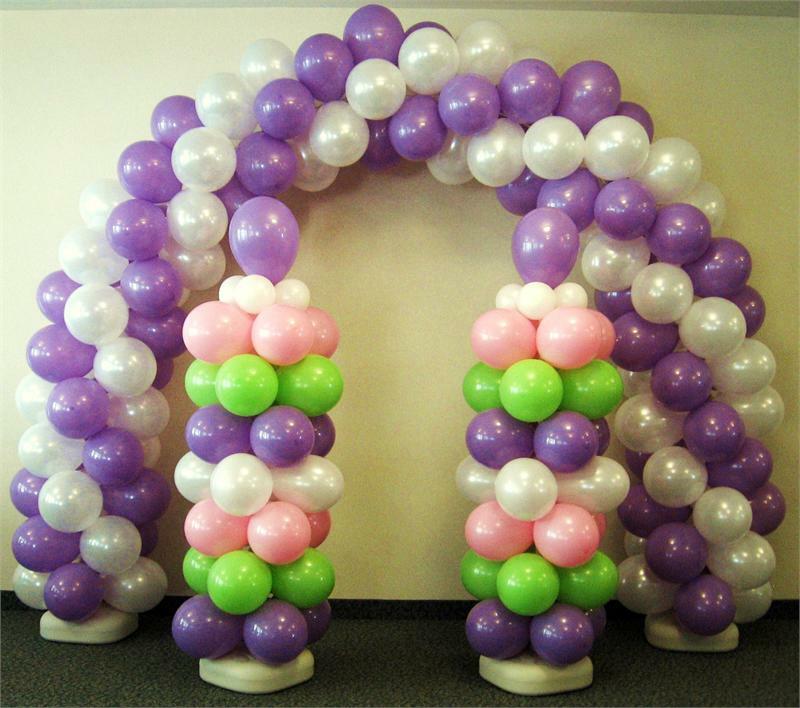 Arch and Columns require 192, 11” latex balloons.